Home Blogging How does blogging can make you money? There’s a point why one would be so curious and ask the question of, “how does blogging can make you money?”. Not all bloggers start off blogging just to earn money for a living. In fact, there is a high percentage of bloggers who don’t want to bother earning at all. They just enjoy blogging as a hobby as it is currently a trend. Though the thing is running a professional blog is not free; there are domain and hosting fees. This is one reason why bloggers are looking for ways to monetize their blogs to help with on-going expenses. There are many income streams that you can take advantage of through blogging and you just really have to do a lot of research and reading your co-bloggers advice and join communities to keep up what’s current as well as what’s working for them. In that way, you’ll quickly learn and go with the flow to the right direction. I am going to share how blogging can make you money and why I decided to renew my website plan for a yearly plan this time since it’s just my third month of blogging, I am able to say that it’s true that blogging can make you money. Before I proceed to share the ways of monetizing and posting ads and links to your blog, check out the Federal Trade Commission (FTC) guidelines to know what bloggers are required to follow and adhere within your blog. The next step is building trust with your audience. This is very important as well because, over time, you will gain new visitors and, hopefully, keep the current ones interested in the information that you plan to share. Blog consistently and reply to your readers’ comments. As I have mentioned from my previous blogs, it is important to write high-quality content since that is what facilitates traffic to your blog. Readers tend to click the links, banner, and ads within your page that may generate action to sign up or to buy a product. It is also equally important that you understand your own niche and your audience’s interest before you start to add any promotions or ads to your website. Directly sell your own physical product or a digital/educational product – such as an e-book, e-courses, photos, printables, etc. You can create an account from marketplaces like Etsy, eBay, Amazon, Shopify etc. and promote them on your blog. You can also refer viewers to your blog and store through social media. This is the same thing with other types of services that you can offer like tutoring, proofreading, transcribing, etc. You can create an account through Fiverr, Upwork, Freelancer etc. and create your own portfolio on your blog. Again, you can promote them on your blog and social media by referring your viewers. 2. Another way and proof that blogging can make money by promoting someone else’s product or service. There are multiple income streams to join once you are ready. Remember that blogging won’t get you rich quickly and is not always as easy as you think. It takes hard work, commitment, consistency, and dedication. Essentially, be aware that there are still tons of information you need to know in order to become successful in monetizing your blog. I want to be upfront with my readers by sharing that I have already been paid for my blogging. During my second month, I was paid more than the total amount that I pay for my monthly website! This was an exciting moment for me since I was still so new to blogging. If you haven’t decided which company to partner with yet and want to get started with the least amount to pay, I personally recommend Siteground. Although they are the cheapest, their overall customer service has been outstanding. Click here to know why! Joining Ad Networks may not be easy for starters and smaller bloggers; you may get declined for some reason, such as having less or no traffic on your site. However, remember that there is always an opportunity to re-apply when you are ready. Don’t let this discourage you because there are thousands of Ad networks that will surely accept you to display their ads. 3. You may also earn from Paid Reviews – you will receive an income for publishing an article provided by the sponsor or written by you. PayPerPost helps content creators, such as bloggers, to find advertisers that are willing to sponsor specific content and connect with them to write reviews, feedback, reviews and more. Check out and click here. Sponsored Reviews have hundreds of advertisers willing to pay bloggers to write posts about their sites. Check out and click here. Cooperatize is one that I highly recommend as you’ll get paid for writing about brands you love. Check out and click here. 4. Joining Ad Networks – I prefer to join in because you don’t have to create a product or invest a ton of money to earn with ad networks. Also, what’s super awesome is that you can even make money while you sleep. 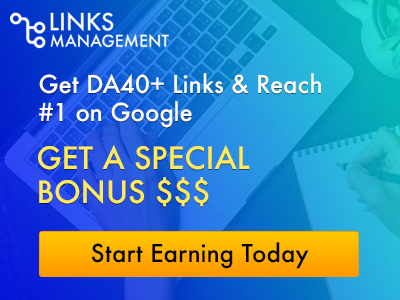 Google AdSense is an advertising network within Google that allows website owners to place advertisements on their websites with ads that are picked out by Google. You just place the size and type of ad widget you want on your website. You are then paid per-click and per-impression. 5. Affiliate Networks – (highly recommended) you will be rewarded for helping businesses promote their products or services on your website. I urge you to run your own research on each company or website you decide to join in and see if it relates to your blog niche. It is very important to build trust with your audiences first. To achieve success with affiliate marketing, recommend only the services or products you use or have tried so that people will trust you and your opinion. It weighs much than any dollar they pay you. To see if your ads gets click, you can use a tool called Clickmagick . Once your blog gets well established, you can also then start earning money by writing for others. There are many websites that will pay you to write for them. You can charge based on your website’s PageRank and Traffic. The higher your blog ranks on Google and Alexa, the more you have traffic coming to your blog. This means that you can charge more money. Most bloggers will charge between $25 to $500 per post. 6. Events – create events as your blogging progresses. Your reputation will grow and you’ll start receiving invitations to feature high-value events and seminars (or what they call now “webinars”) where you charge fees for every presentation you make. You can also create your own events and invite participants to pay to join in. A platform that helps best in doing services like this is Teachable. To learn more how it works, check out and click here. 7. Turn your blog into an App – you can monetize it by turning your blog into an app and, nowadays, it’s getting easier to turn a blog into an iPhone or Android app. I have answered the most common questions that I am asked about how blogging can make money. I want to be clear that there is no 100% guarantee that you will be able to earn a full-time living by blogging especially at an early stage. You usually get paid either through PayPal, Payoneer, direct deposit or by receiving a check in the mail. There’s endless possibilities and it’s a constant learning process. I am only sharing all these based on my own experience. Once you know how to do it right, then, yes, it is possible. It sometimes take a long time before real revenue comes in, but, once it does, you’re going to be highly motivated to keep going. If you do have the passion for writing, just go for it and money is just next to nothing. Get going and do not be afraid to try! It is also important to network with other bloggers. We would love to have you in and join our growing Facebook group Blog Support Community a page created to share your blog and services, as well as learn from other experienced bloggers! I have made so many new friends; it’s fun and rewarding! You can download our list of other Facebook groups to join and collaborate with a bigger range of bloggers worldwide. Click here to download. Also, I have here a link for you to download a free printable your Affiliate Networks List to help you keep track of your records. Are you interested in making money blogging now? If so, what is your favorite and works best for you on your blog monetization? Share us your thoughts in the comments below! Don’t forget to share it and thank you for reading! Great advice! Sponsored posts and sponsored social sharing are the big ones for me with my blog. I’ve just started dabbling in affiliate marketing within my written content. This post couldn’t be more timely! Thanks for sharing this great information! Thanks for some great new resources! It’s always fun to get paid for featuring brands you love. We have heard and been contacted by paid review. We should follow through ahah. Sponsored post can really help. True that blogging is so much work and you don’t get rich right away but with time, you might get here. Thanks for all the advice and suggestions! I definitely do sponsored posts but I’m about to research affiliate programs. Ive been so intimidated by them because I don’t understand them. But I think I will go that route as well. I am always looking for more income building partnerships for my blog. Thanks for sharing these great resources. I will definitely be looking into quite a few of these. I am in the beginning stages of my blogging career I can not wait to see how well my blog does so I can get some of these opportunity. .
WOW, Great post, I am working in the same niche and some of the tips you shared are really unique, love it ! Doing promo posts definitely generates income. So much can happen with hard work and consistency! great blogging tips! i use a few of those affiliate sites + sponsored posts to make money for my blog.